Fleet of more than 150 trailers suitable for transportation of 20’ & 40’ containers. 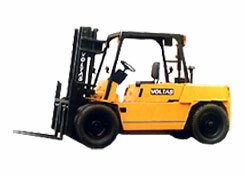 Reach Stackers (Models- 2001 and Above) for handling of loaded containers. Mechanical Cranes for handling of Containers & Heavy Cargo.